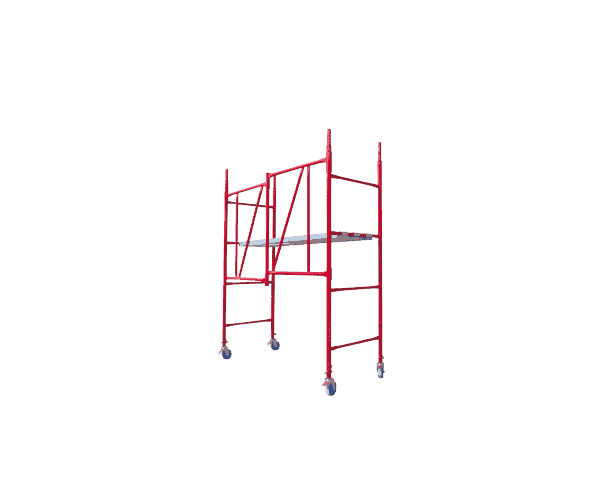 Easy assembly of the home scaffold Hobby. 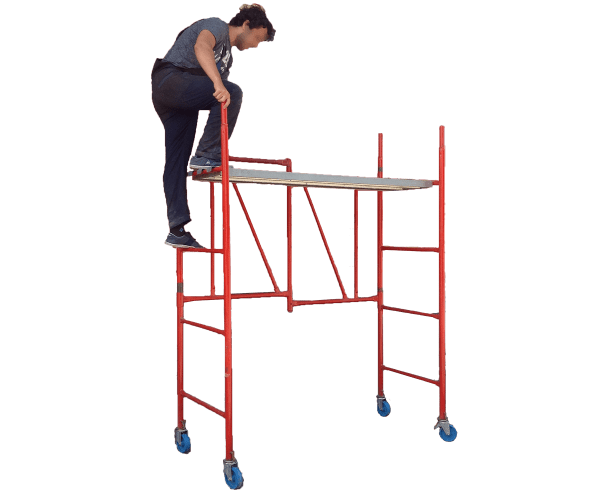 Convenient to climb and work. 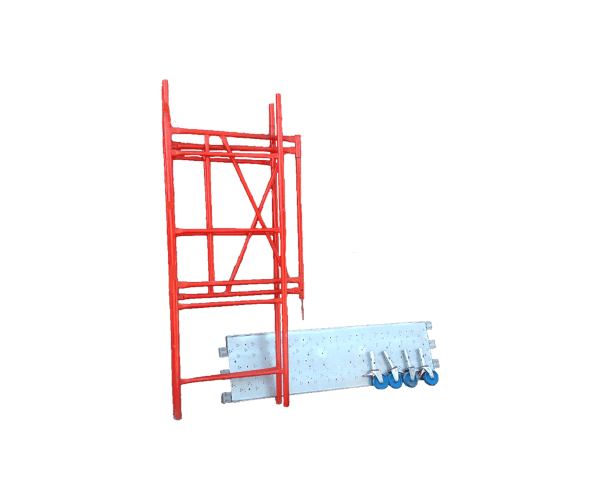 Home scaffold Hobby is a mobile folding facility that provides a working height of up to 4 m. This scaffolding is designed primarily for home use. Notwithstanding this, this facility meets all safety requirements. 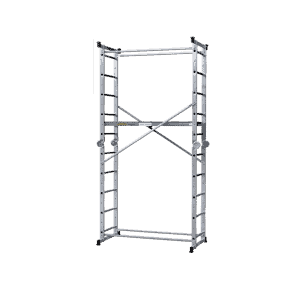 Scaffolding Hobby is extremely useful for internal repair and installation work. 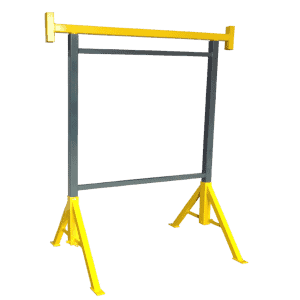 Its construction elements are made of steel and coated with paint. This makes it suitable for outdoor use. Extra comfort provides 4 pcs. transport wheels. 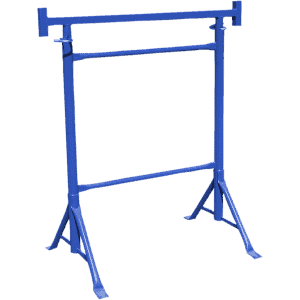 This makes it very easy to move the platform. 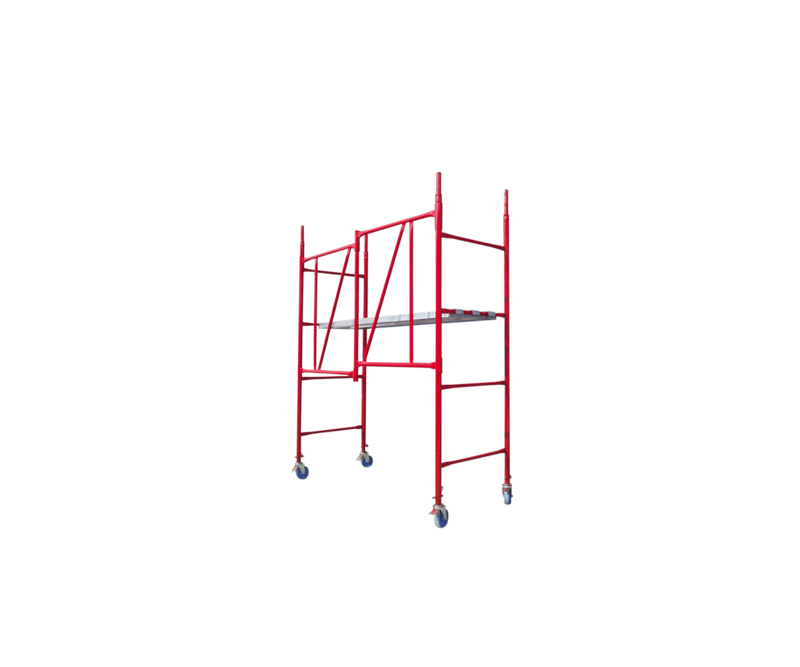 For secure positioning of the home scaffold, the wheels are provided with a brake. Easy to unfold and fold. Lightly and steady – in unfolded position with a special pin is fixed and prevents folding. 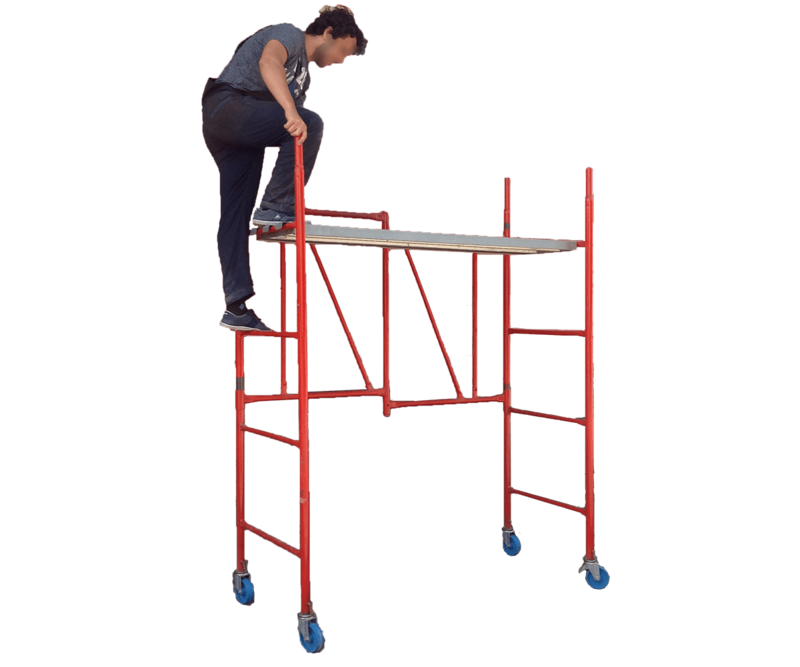 Convenient for climbing the platform and working on it. The wheels are clamped with pins to the scaffold construction. 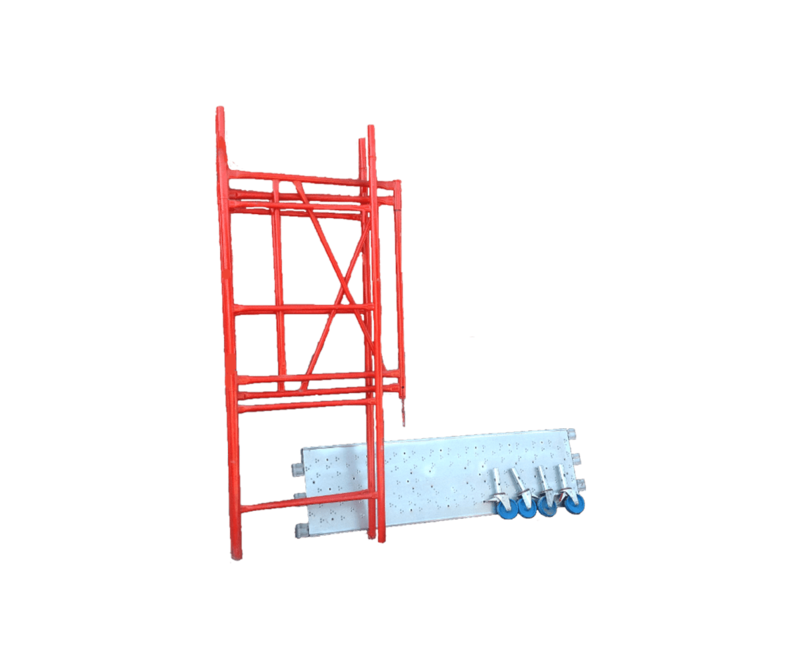 In the folded position the scaffold occupies a minimum of space. 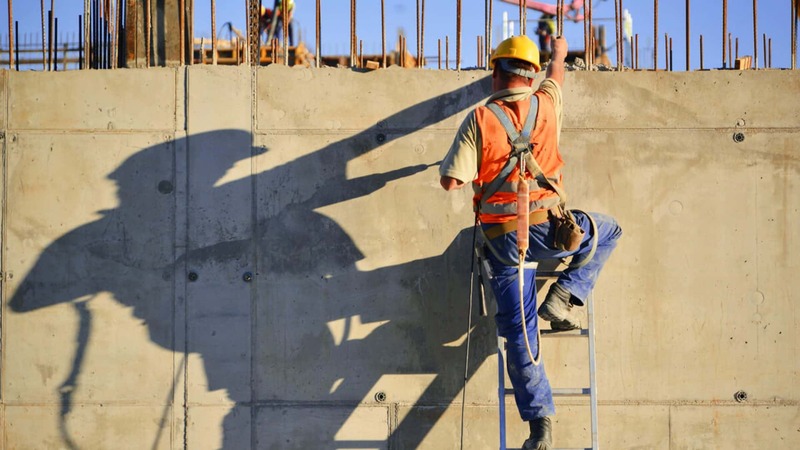 Djodi Trade Ltd asks you to comply with all work and safety requirements!